Earth Day is April 22nd! 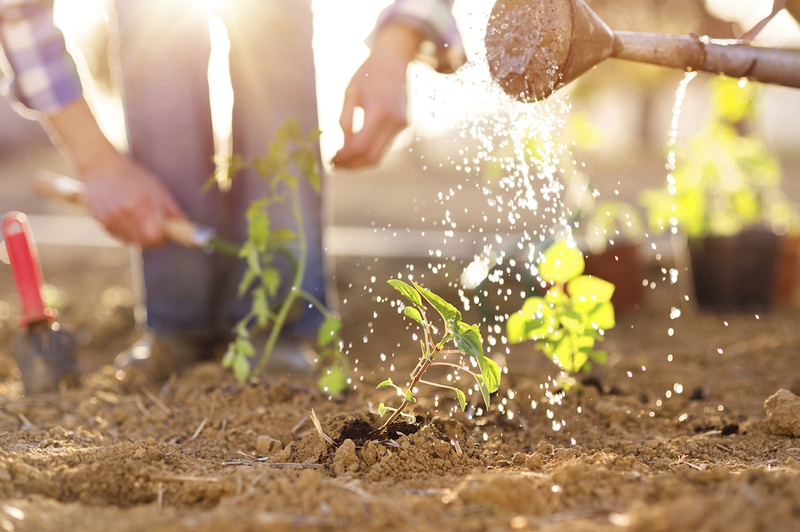 The first Earth Day in 1970 marked the beginning of the modern environmental movement. The movement continues today with the theme of Ending Plastic Pollution. What can your classroom do to cut down on non-renewable resources? Use the following materials to start conversations in your classroom! Our limited-time free Topic Landfills and Recycling is a great place to start! This Topic explains the importance of conservation and offers some useful actions we can all take to better the environment. 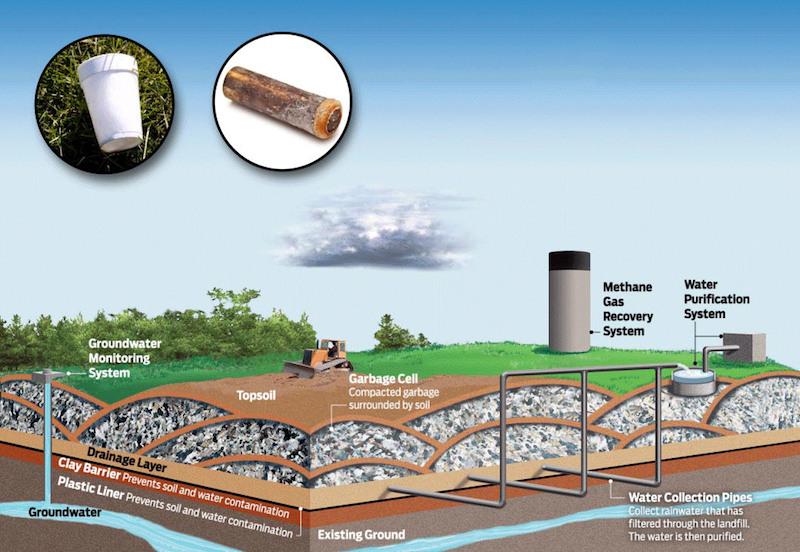 Checkout this Free Topic on Landfills and Recycling with your students. 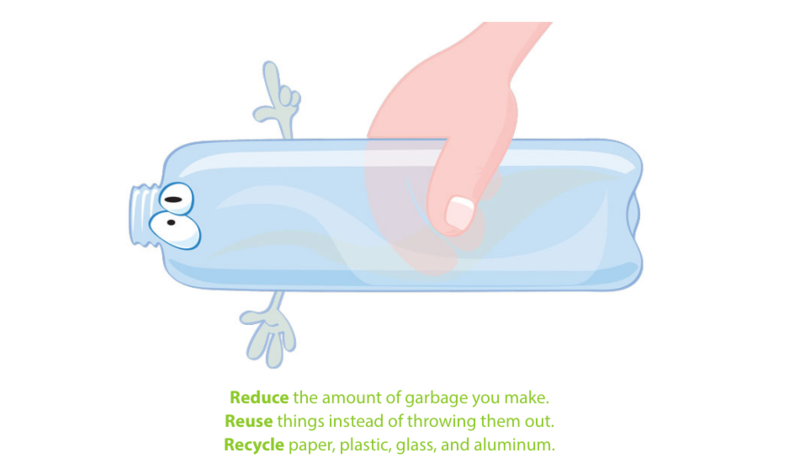 Our online unit on Conservation introduces students to Our Natural Resources, Our Carbon Footprint, Landfills and Recycling and more. This unit uses thought-provoking examples of how humans impact the earth, followed by tips on how to protect our environment. This animated interactive graphic teaches kids about how a landfill works. Ecology explains how the food chain works, provides a detailed discussion of Earth’s 10 biomes, and will generate lively discussions about our “ecological footprint”. Kids Discover subscribers gain instant access to topics like Life Cycles, The Balance of Nature, and Ecologists to the Rescue. 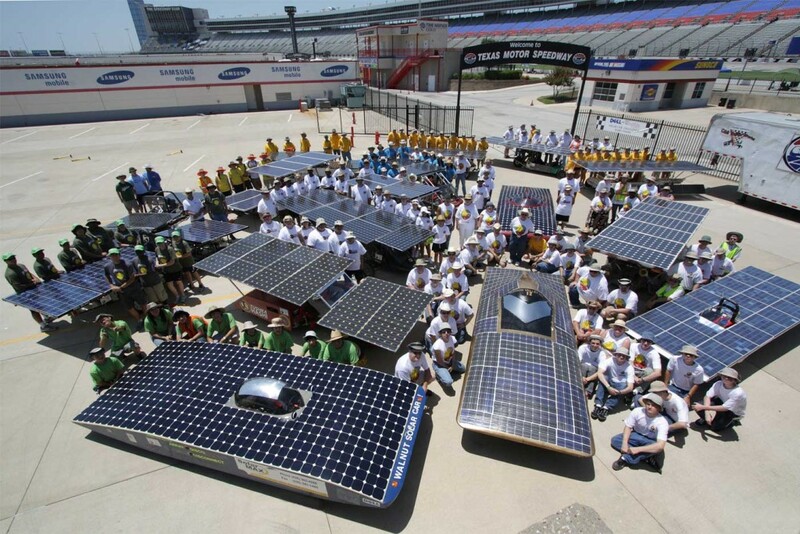 “Teams from colleges and universities across the U.S. and Canada design solar-powered vehicles. Then they race them in this long-distance event. The goal is to develop cars that don’t pollute the air.” – from our topic Ecologists to the Rescue. 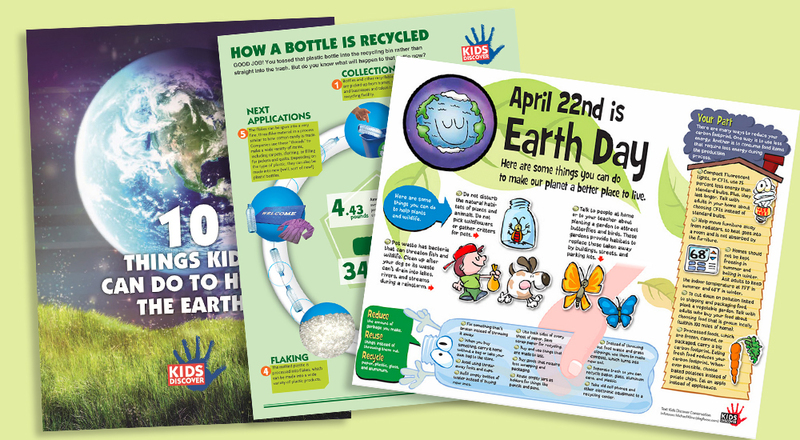 Download, print and share these free infographics on How a Bottle is Recycled, How to Celebrate Earth Day, and 10 Things Kids Can Do to Help the Earth. 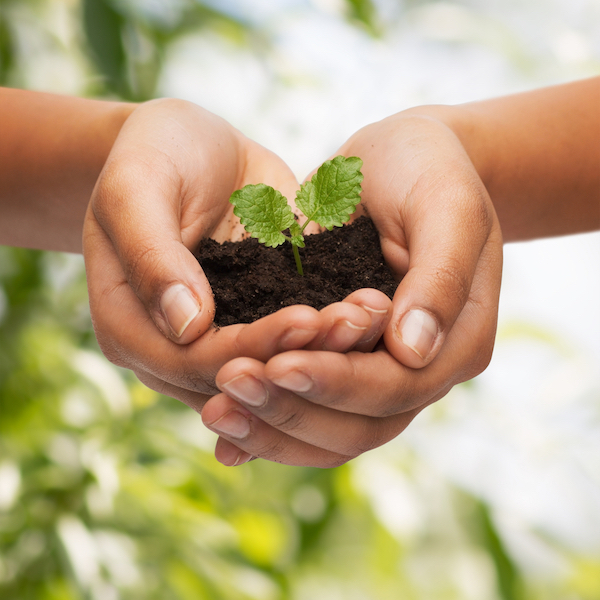 Print and share with your school community to teach about how and why to celebrate Earth Day. 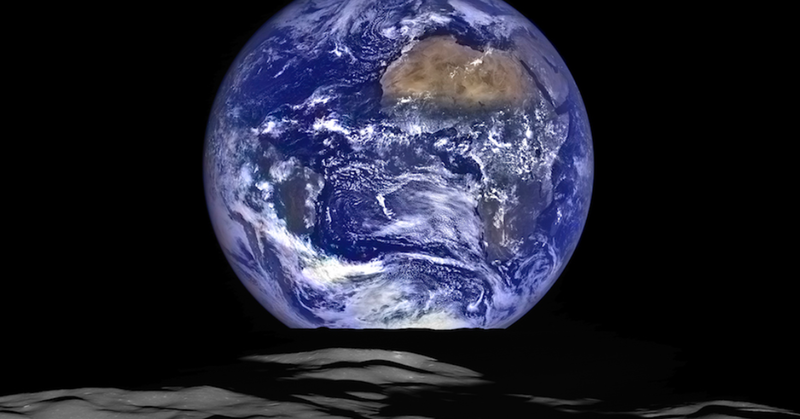 Have students try these activities to expand their knowledge and interest in the Earth. 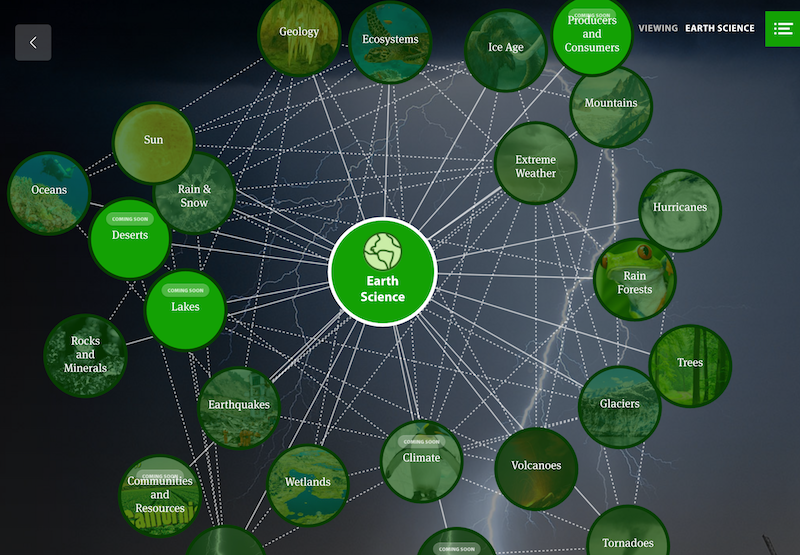 From Rainforests to Wetlands, kids can make their own connections between Earth Science units and topics with our interactive Discover Map. 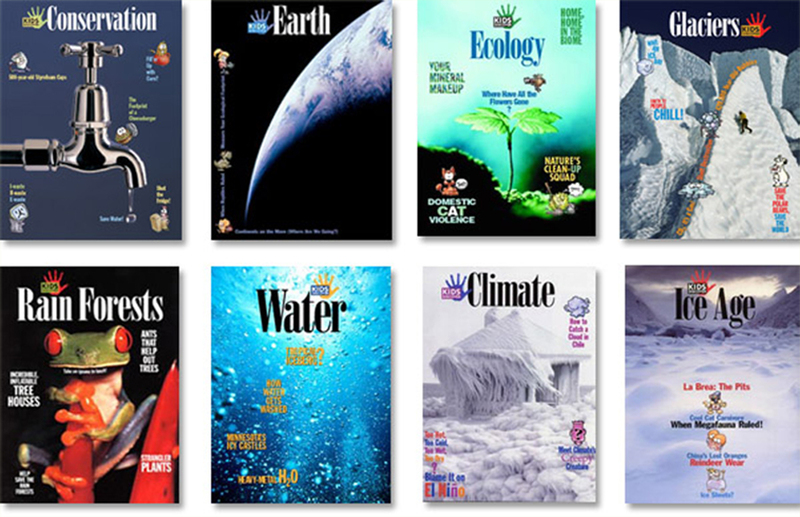 These Earth Science issues will be classroom staples all year round. Check out Ecology, Conservation, Earth, in this Earth Science Themed Set for your library, complemented by Free Teacher Guides and Vocabulary Packets. Our library of Print Titles contains themed-sets like this Earth Science package.